The Building Regulations concerning hearths can be an area of confusion for some with the different thicknesses required for combustible or non-combustible floors and terms such as constructional and superimposed. By breaking these regulations down to what is relevant to you, we hope this simple guide clears the mystery surrounding hearths. So, what is the purpose of a hearth? It is basically a clearly defined protective area around and under your stove to prevent it setting fire to the fabric of your home and furnishings and to prevent people getting accidentally burnt. For obvious reasons it is constructed from a non-combustible material and must be of suitable dimensions (as dictated by the Building Regulations) to catch any hot ash or sparks that may escape from the fire. *The measurement of 250mm may seem big however, bear in mind this is a constructional hearth and so some of this is built down into the structure of the floor. Cool Hearth rated These are the exception to the rule. 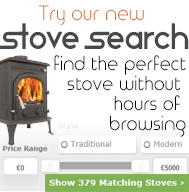 Some modern stoves do not exceed 100oC at their base and have received a cool hearth rating. These are the only models of stove suitable for 12mm superimposed hearths which are manufactured from glass or slate for their decorative as well as protective qualities. Free Standing Hearth Contemporary convection stoves can be positioned anywhere in the room but still require a hearth. These tend to be of the superimposed variety but the regulation here is they must measure at least 840mm by 840mm. Please click here to view our Hearths. Can you tell me if the Oylmpus 10kw requires a constructional hearth or is it ok just with 25mm decorative hearth ? Thanks very much for your enquiry. I have passed this on to our Customer Services Team who will respond to you directly. Can you explain what type of constructional hearth is required for an inset stove?